Ok let’s be frank: That basil pot we buy in the supermarket – how long does it last at your home? Yup, same here! Somehow we never manage to keep that lush basil in the pot longer alive than a few days. What is the mystery? And why does this happen to us plant loving folks too!? Well, whatever the mystery is, we have finally found the solution for all of us who love fresh herbs right ‘from farm to table’. 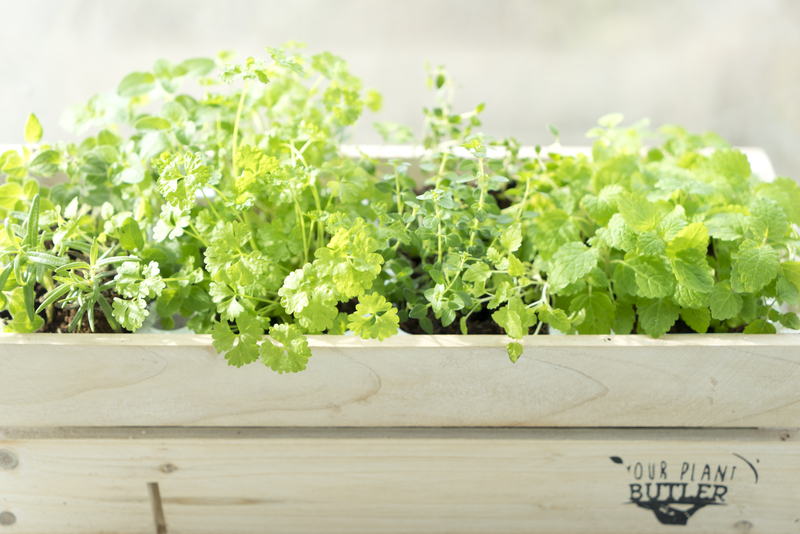 That is your own little urban farm in the kitchen or on the balcony of course. Let us introduce you to The Gardians! 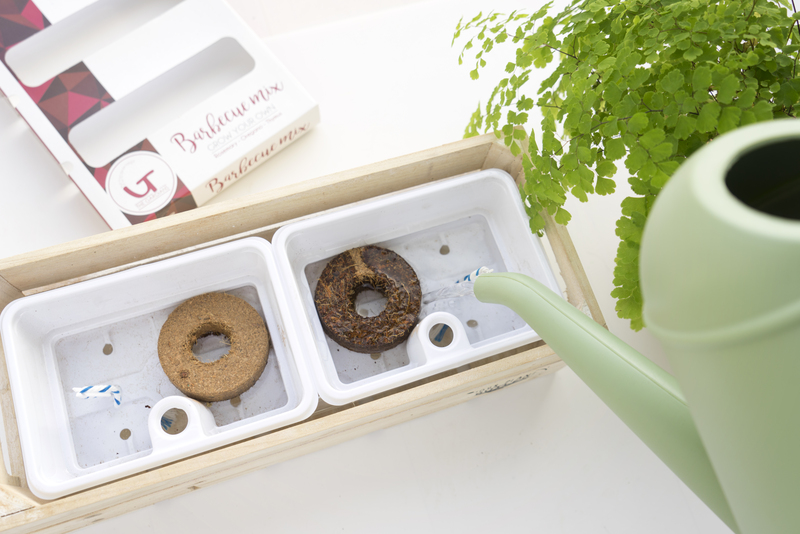 The Gardians is a brand new plant service for the urban dweller. Their first product line includes a variety of delicious herbs: Italian herb mix, Barbecue herb mix, Salad herb mix, and Tea herb mix. 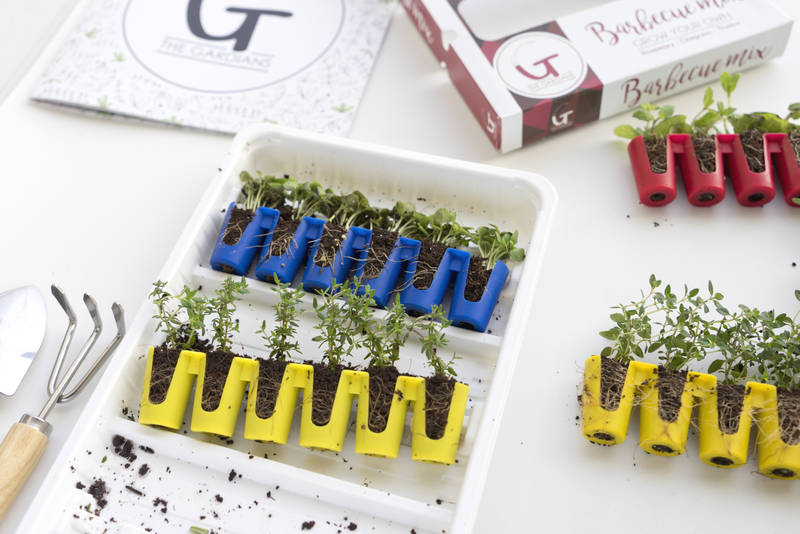 But the magic is not only in the cool herbal mixes: The Gardians pioneer the online plant market with a smart and innovative packaging that not only looks cool but ensures that you can easily receive plants via the mail, because they are as flat as a (thick) envelope. Without a mess, without disappointments, without risks. 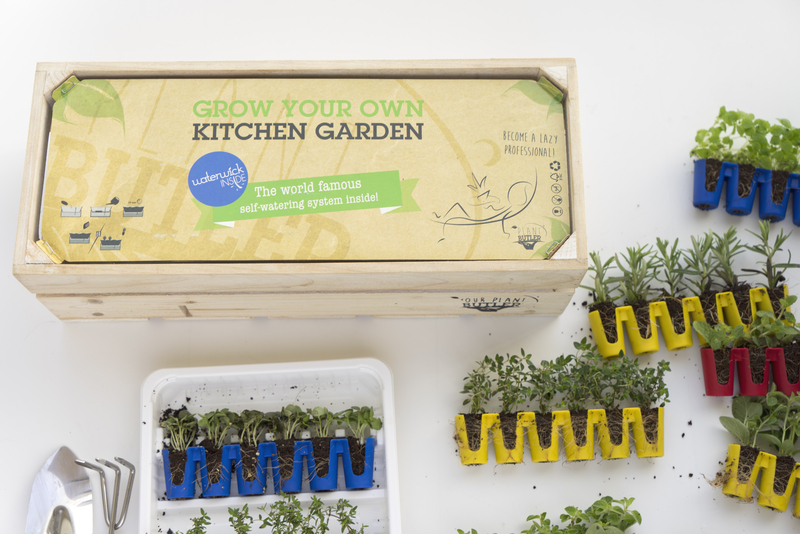 Each box contains six baby plants of three different herbs. 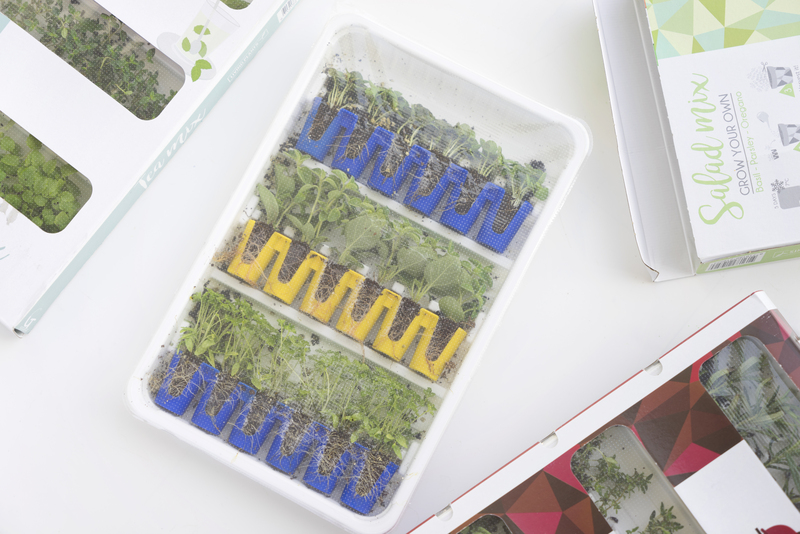 And you have not to stress out once the box arrives at your home: You can keep the unopened box for up to 5 days in your fridge before potting. 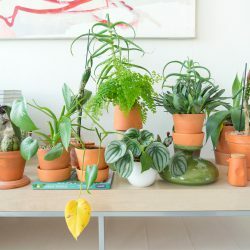 The 18 baby plants per package come in handy plugs and can be potted in any kind of planter – you can opt for terracotta pots, self-watering pots, bowls etc. 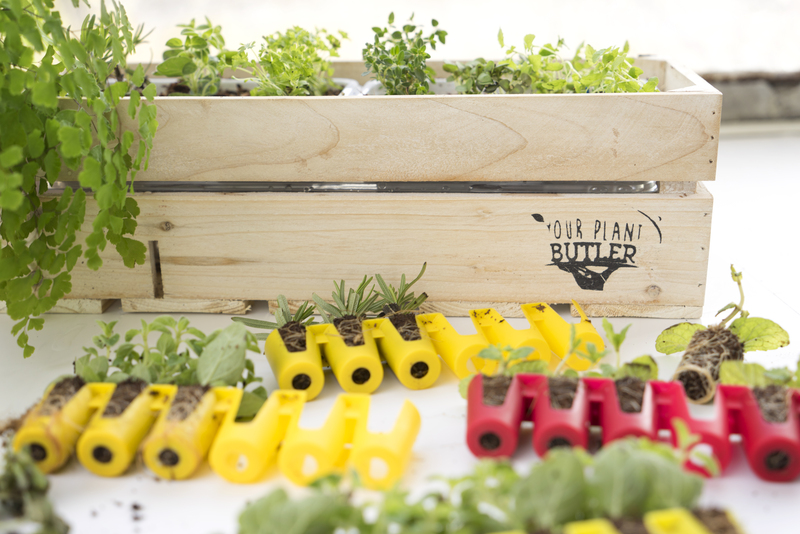 If you need a cool solution to plant the The Gardians products, have a look at the smart self-watering crate called the ‘Plant Butler’ which is a very practical and beautiful solution to plant the herbs and let them grow and thrive on your windowsill or balcony. Why The Gardians? 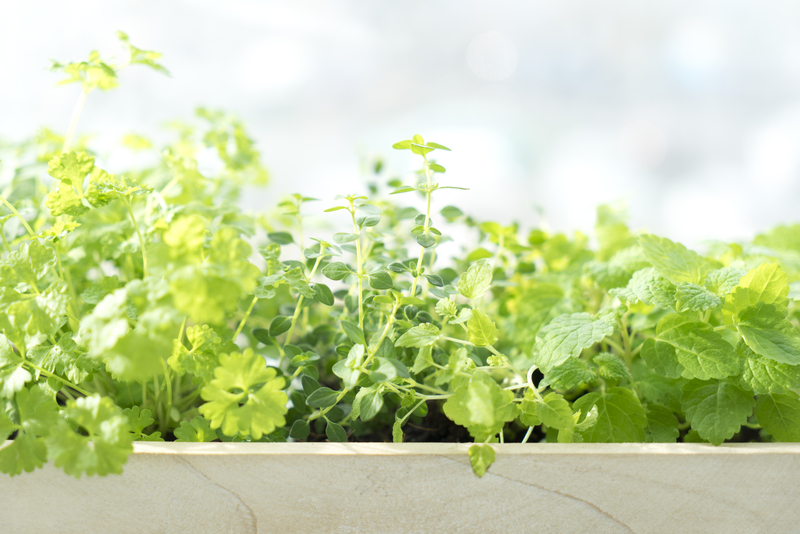 For us it is the first time we experienced a very practical and easy-going way to introduce herbs in our urban jungle scheme. Ordering plants online is always a tad tricky and bears some risks, but with The Gardians everything is perfectly planned and designed. It enables us to grow our own herbs and supports the quest for healthy food and a healthy lifestyle at home. 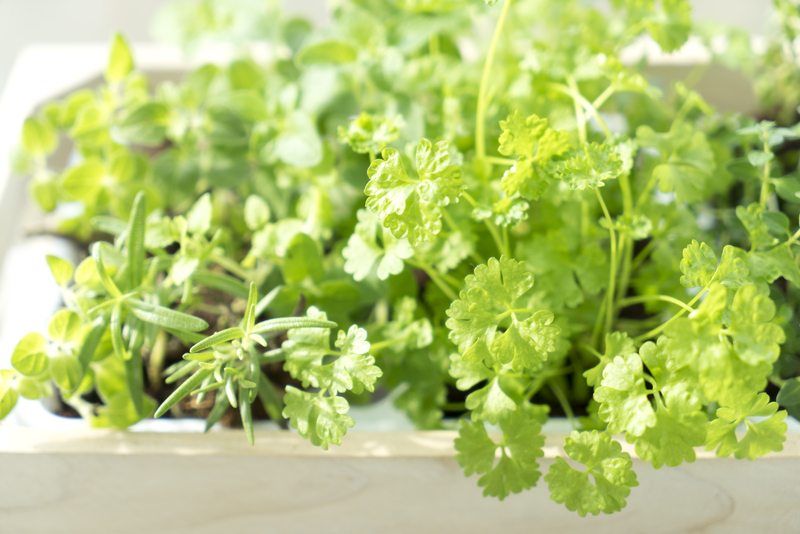 Anyone who loves cooking knows that fresh herbs are an absolute must. 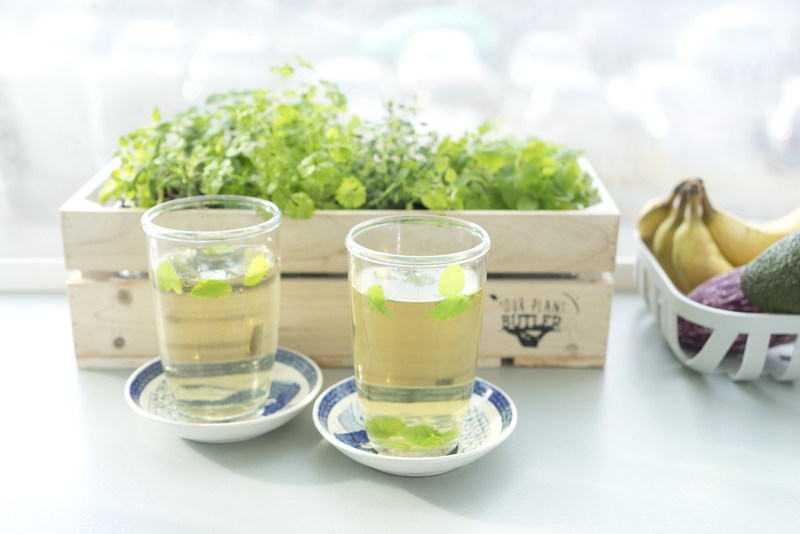 Instead of buying herbs in the supermarket (that wilt after like an hour), grow your own herbs and use them when needed and as much as needed. We like that. But enough with our own experiences: We think this product is so innovative and cool, we want you to experience it for yourself. 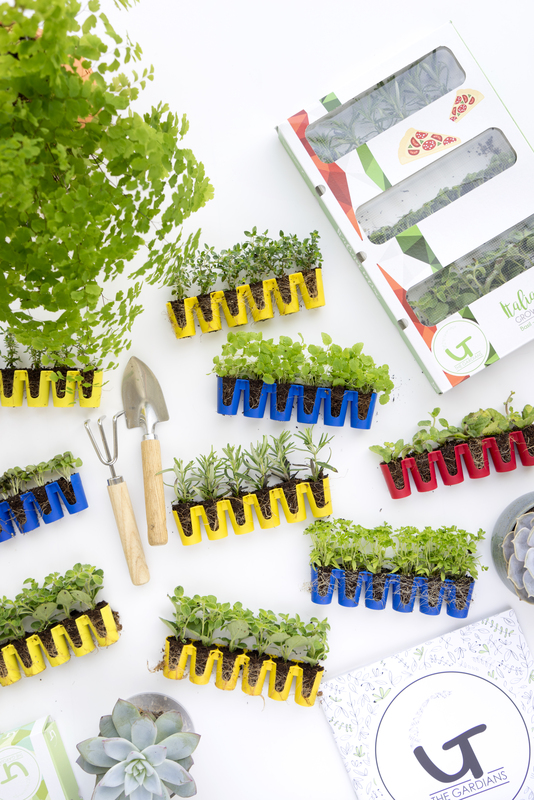 If you hop over to Facebook you can join our giveaway where you can win one of 5 The Gardians sets to start your own little urban farm at home. All details for the giveaway on our Facebook page. 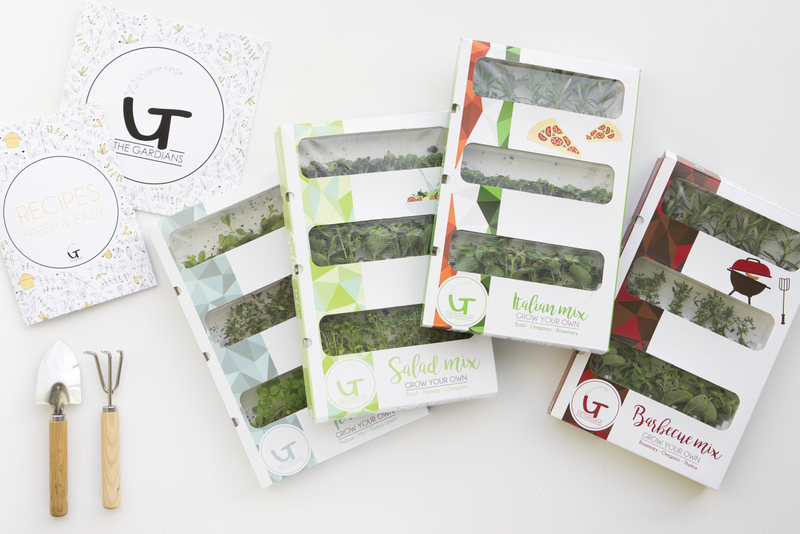 Now if you are craving a fresh salad, a sprinkle of fresh herbs on your lunch or dinner, or a calming herbal tea with homegrown herbs, we can only encourage you to test The Gardians. They have launched in Germany right now but are also available online through their current retailers – you can find their current retailers on their website or order online through this shop. Also, stay up to date for new products, markets, and retailers on their Facebook page. Just so you are the first to know! Well we are not going to reveal too much, but we might have heard that The Gardians will soon expand their product portfolio. 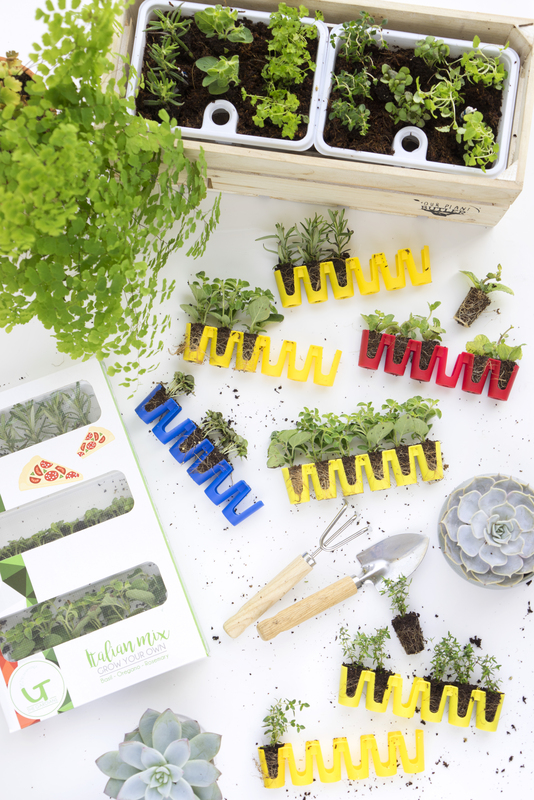 I guess we are in for some more plant goodness to order online and grow in our own homes. Stay tuned! After three weeks in the Plantbutler, the herbs look like this: fresh lush and almost ready to harvest! Now let’s get farming at home! We will start harvesting our herbs here! This blogpost was created in collaboration with The Gardians. As always all opinions are our own. 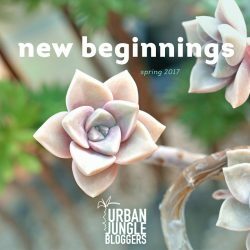 Thank you for supporting the brands who support this blog!